The 122nd phase 3 Canton Fair will be held between Oct. 31- Nov.4,2017 in Guangdong province.The exhibition area of one session totals 1.18 million m2,about 200,000 buyers attend the Fair from more than 210 countries and regions all over the world. 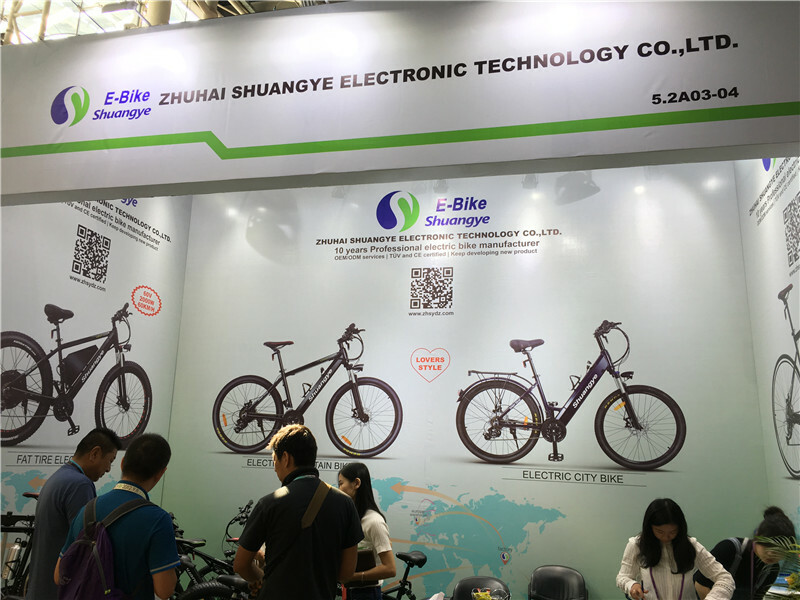 Shuangye feel honored to attend this fair,this time we will take our best sell electric bikes to our booth,full suspension electric mountain bike A6AH26-S,electric road bike A6-R,folding electric mountain bike G4-Z,electric fat bike A7AT26,etc. Welcome to visit our booth,our booth number is 5.2A03-04,We treasure every opportunity to meet with you, our valued customer.